Kota Tua Kalianget ot Kalianget old town is located in the eastern city of Sumenep. 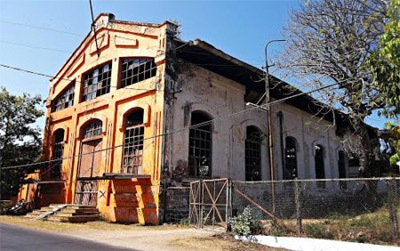 Here the visitors can see relics of the salt factory, colonial architecture and some areas of defense that was built during the VOC and forwarded by the Government of the Netherlands East Indies during the Sumenep colonialization. Kalianget was developed into the city due to a very strategic location and is the busiest port city in the Madura Strait. In this old town, we can find some historical relics that ever build by Dutch Colonial, like the first Modern Briquettes Salt Plant in Indonesia, which was built in 1899, Tennis court, Swimming pool, cinema, until the settlement for employees of the salt mill at that time.